Appreciate what a child is feeling, seeing and thinking, from a new viewpoint. I invite you to come play with your ancient Angelic friends to be amazed and inspired. It’s about remembering who you are and why you came back in these exciting transformational times. This playbook is for people of any age. If you ever wanted to know what your child is feeling, seeing and or thinking, here is a different perspective. It is a viewpoint that helps you and your child explore what may be happening from a spiritual perspective, with no judgement. It could clarify areas that are mysterious or unclear. Enjoy it all and have fun exploring. Written in Australian English using the positive Language of Light and Love. 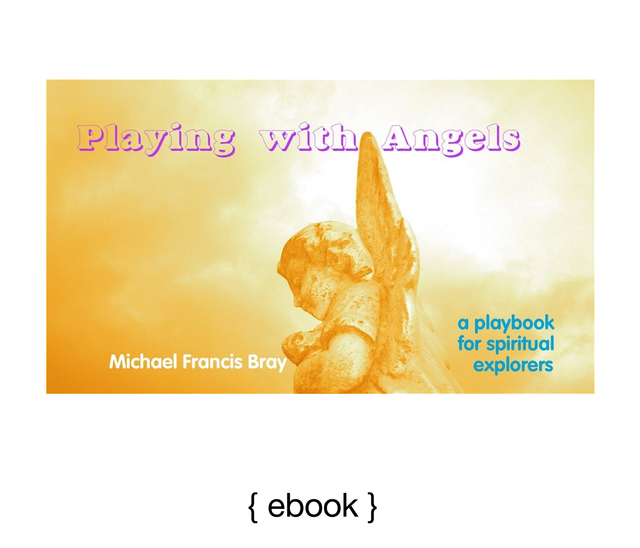 Michael is the author of 6 books about Angels and life. He has many experiences with Angels and nature spirits during his 71 years. He has enjoyed conversations with Angels since age 5 and with Fairies in 2 countries and with Gnomes. He shares his truth about all the spirits, trees, nature, environments and universes. It is a wonderful way to go exploring. Rainbow Spirit ~ shine your true colours.